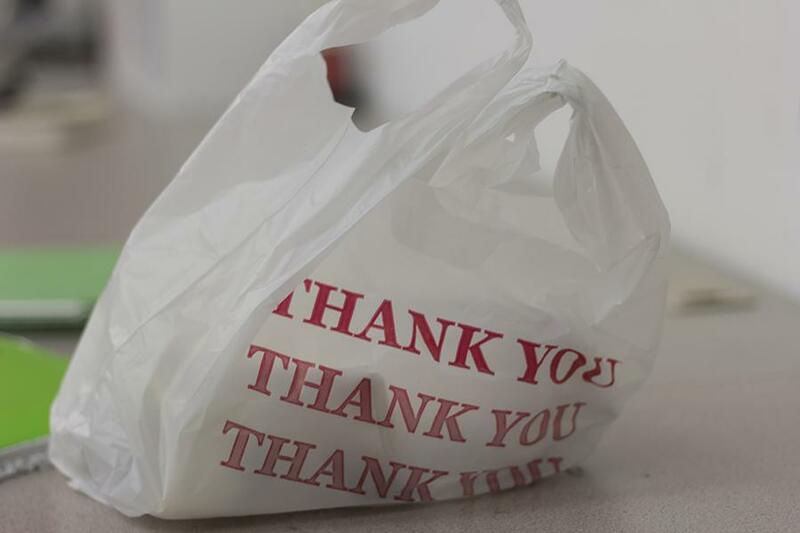 Recycled plastic bags can make for affordable lunch sacks. For those without a meal plan, eating lunch on campus every day can be a chore. Here are some ways you can pack a lunch that will put your friends’ dining hall food to shame. The easiest things to pack for lunch are foods that you do not need to worry about keeping hot or cold. Grains, pasta salad or a slice of frittata are perfect choices because you can throw them in your backpack when you leave for morning classes and know it will be safe to eat when you pull them out at lunchtime. Sandwiches are the classic school lunch. While anyone can slap deli meat between two slices of bread, there are many of ways to build a better, tastier sandwich. First, make sure that you “waterproof” your bread by spreading it with something creamy like mayo or avocado in order to keep your sandwich from turning into a soggy mess by noon. As a throwback to elementary school days, try bringing a small bag of chips to add to your sandwich at the last minute for a satisfying crunch. Mason jars are a craze right now, and Mason jar salads are one of the best ways to utilize this Pinterest favorite. Be sure to follow these simple rules: layer dressing in the bottom of the jar, followed by grains or proteins such as brown rice or chicken, then add extras like cheese and nuts before lastly placing the salad greens on top. You can even make your salad the night before for a grab-and-go option. Just check that the lid is on tightly before you throw it in your bag the next morning. If you have one, a freezer is a great tool for packing better lunches. When you have leftovers, freeze lunch-sized portions in plastic bags. When you are in the mood for chicken you made last week, just move a bag from the freezer to the fridge to thaw overnight, and your lunch will be ready to take with you in the morning. If you like PB&J’s, try making multiple sandwiches, wrapping them in foil and then freezing them. Grab one from the freezer in the morning, and you will have a perfectly thawed PB&J by lunch. Soup might be the ultimate packed lunch, especially with this year’s seemingly endless winter. A good thermos costs less than $15 and it will keep your soup warm for hours without spilling in your backpack. Heat up your soup in the morning and pack it in a thermos that has been preheated with some hot water. This guarantees that your lunch will stay warm and steamy all day morning long.